Should I Buy a Custom Domain Name? 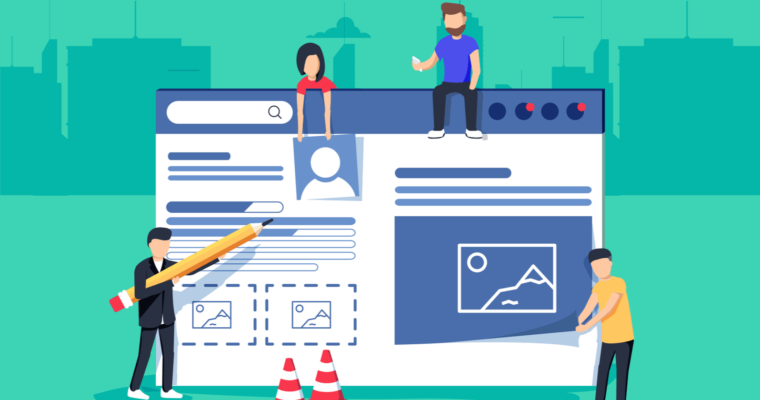 If you're not currently using a custom domain for your blog, make sure that you know that you're making one of the biggest mistakes. Read on and I get to explain why. I have been planing to buy a custom domain for a while and this day has finally arrived. This was indeed due to your kind support. I felt comfortable with Blogger as i feel its meant for the young students who cant afford Word Press (blogging platform) hosting costs. BloggingeHow.com is now registered with HostnDomains (a local webhost). All the posts are hosted by Blogger.com for free. As always, Google's services are quite generous towards their users. Free hosting is one of the best factors that make Blogger over shines WordPress. I had couple of small blogs on WordPress.com, i.e is a free web hosting services. The problem was the unprofessional domain name (xyz.wordpress.com) that hanged out with the blog. Also WordPress.com was like the handy caped version of WordPress.org (the real WordPress you may say). So i finally stuck with Blogger.com and bought a custom domain due to the following solid reasons. I regret i should have done that early. Simply apply it to your self. How do you take a blogspot.com or any other sub domain hosted blog? Not seriously right? That's natural. This is due to the mighty graveyard of the dead blogspot.com blogs laying all around the world wide web. People often get inspired with the "Money" factor of blogs/websites and they tend to build one for them selves within seconds. It hardly takes few seconds to build a new blogspot.com blog. The problem arises when they realize that posting frequently, that is the key to success of a blog, is a big pain. They might through out 2-4 post but after that, all the air is blown out. So it was important for me to get a custom domain as the blogspot.com domains were so badly reputed due to all these "left over" blogs on the net space. ##check## Update: Much Affordable Now! Note that you can now even get it for as low as 0.99$ from Godaddy. I explained the process in the bonus episode I embedded above. How could someone not get a custom domain, that costs only and only around 10$ per year. Once you get to know the advantages of branding your blog with a custom domain, you can't resist to get one for your self too. 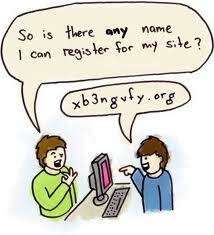 There are many domain registrars, where you can register your domain instantly. I went for a local one just because i didn't had the facility of credit card. So it was far easy for me to grab one from a local host. If you are student and can't get one online, you should get one from a local one. That's equally good. You just need a custom domain name. I will explain how to get a custom domain name in my coming posts, so that it gets easy for you to understand the whole procedure. Just so that you know, you can set it all within 1 days! That is 1 days after you register your domain with the domain host. All the DNS (domain name system) and redirecting your old blogspot.com blog within 1 days. How could some one not shift to a custom domain; i wonder. 4-Increased My Traffic By 10% ! That actually amazed me. The day Bloggingehow.com was up, it received around 10% more traffic than before. Custom domain is taken far more seriously by people and they often tend to land on a custom domain, then a sub domain blog. I often land on custom domains from search engine results, and when i check their standings, they are merely of any worth. Literally that's how huge a custom domain can play. Even if your blog has less to offer, people land on it just by watching the custom domain. You can also checkout 6 Content Marketing Examples - How to Drive Your First 10,000 Visitors to Your Blog? The following AskHassam episode talks about how to increase your YouTube video views. Many of these strategies are relevant to a blog post too. Hope that helps you out too. BloggingeHow is rising fast in Twitter world. Just a few days back we setup this little blog on Twitter and its 130+ followers already. The custom domain played a huge role in social media exposure. I wonder how 30 of those kind people found BloggingeHow, on the very day. *Cheers* Again this couldn't have been possible without you guys. Custom domains often get more bookmarks then an ordinary free sub domain. As i mentioned before people take custom domains far more seriously, and love them to share with their friends and family proudly. Though the content determines the bookmarks more, but a custom domains plays the finishing role, i would say. If a persons likes a particular blog and wants to bookmark, a custom domain name pushes him towards the bookmark button. Sub domains get a lower page rank normally due to the lower number of "quality" back links on their support. High quality blogs doesn't like to connect with the sub domains blogs. Do you think Darren from Problogger would like to promote a blogspot.com domain? 8- Hosting Is Free With Blogger-100% Up time! As i mentioned before, Google services are quite generous. They have given the free hosting facility to their users with 100% up time. Yes you heard it right. According to one study by pingdot.com, Blogger had 0.0 hours of down time which made it first among the leading free Blogging platforms, WordPress being second with 0.1 hour down time. So with such a great platform with free hosting, what more can you ask? Yes its true. Many of the popular advertisement services doesn't accept free sub domains. Even Adsense is not allowed on free sub domains apart from Google's own blogspot.com. Other popular services like 'Buy Sell Ads' doesn't allow free sub domains. That means you might be loosing the major portion of your blog's potential revenue. Some blogs doesn't have high CTR for Adsense so they turn over to 'Buy Sell Ads'. And if you got a sub domain, they would return you from the door step. Many webmasters experiences the fall of the sudden page rank after they shift over to their custom domains. Its because the new domain is just like a new blog for search engines in starting. But when the blog is crawled again before the next page rank update, you get your page rank back. That's discourages for some time but now when people know the deal, its not much of a problem. So sit back and chill out. Some people like to attract the advertisers through their 'Advertise Page'. As we discussed before, free domains doesn't get attention by popular revenue generating services so the free domain users often move to direct advertisement. Most of them fail. As advertisers look for quality blog with huge traffic and they know that most of the free sub domain holders have very few readers. Yeah indeed its a great feeling. Are You Still Reading This post? Go Get Your Custom Domain ! What do you think? Will you buy a custom domain for your blog? Do you really care? Hurry up before all the domain names exhausts. BloggingeHow | Making Blogging Simpler: Should I Buy a Custom Domain Name?